Mashile-Nkosi, D. 2014. 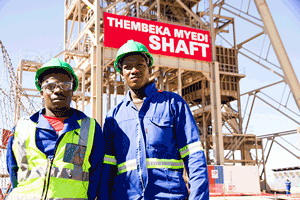 Private sector for development: How private investments have helped mining sector growth. GREAT Insights, Volume 3, Issue 6. June 2014. Today’s widely accepted thesis that the private sector is a key engine of economic growth stands in stark contrast to the model that most post-colonial African countries adopted during the early years of their independence. The model adopted by most of these countries at that time predicated the economic growth and development prospects of these countries on the public sector playing the central role. However, these countries faced a number of challenges which became pronounced in the 1980s with the fall of commodity prices, leading to extended economic hardship. This necessitated new economic reforms which saw the scope of the public sector being significantly reduced and more emphasis being put on the role of the private sector for economic development. The resultant change in the economic trajectories of these countries did not only prove to be successful, but also sustainable. That being said, this economic success continues to be heavily dependent on the public sector’s ability to provide a favourable political and business environment in order for the private sector to thrive. Clearly, there is a need for both the private sector and the public sector to co-exist as partners for economic development. For example, when gold was discovered in 1886 in the Witwatersrand, South Africa, the government of the time understood the critical role of private investment and founded the Johannesburg Stock Exchange in 1887, with the specific intention of raising capital that would fund the mining sector. It is the same capital that was later used for further prospecting and development in the gold industry, which also spawned a number of secondary industries. Not only did this discovery of gold birth the Johannesburg Stock Exchange, it also served as a catalyst for the development of infrastructure such as road, rail, electricity, and water, as well as the manufacturing and services industries. A number of State Owned Enterprises like Eskom, Spoornet, Rand Water, also owe their existence to these goldfields. It is quite important to note that without the mobilisation of private capital specifically to fund the mining sector, such economic development would not have been possible, at least at the rate at which it occurred. This mobilisation of private capital and the consequent infrastructure development, gave South Africa its prominence on the African continent as the most developed economy. Furthermore, “private investment not only brings the required capital to companies, but also the requisite skills that will sustain the running of their operations”. This is a critical component as the lack of such skills can undermine their development prospects. Now, in order to sustain their operations, companies need to be profitable. To ensure the desired levels of profitability, the appropriate skills again become critical. It therefore becomes clear that “without the required skills, the desired levels of profitability would be difficult if not impossible to attain”. Another critical component that private investment brings is technology diffusion and innovation that would ensure that mining operations are efficient, dynamic, profitable, and sustainable. Technology and innovation provide new ways in which minerals can be extracted, in a manner that ensures both efficiency and safety. Evidently, technology is indispensible when it comes to activities such as geophysical logging, geochemistry, geological mapping and surface contouring. Also, given the riskiness and complexity of mining, a skilled workforce is necessary to use these technologies. This further highlights the need for the mining sector to enter into partnerships with academia in order to fund the development of new technologies and find innovative ways of mining. An edge in technology and innovation could mean increased levels of productivity and profitability, thus sustaining the sector. Unlike in the past, mining activities need to be conscious of the need to preserve the environment for posterity. This requires substantial amounts of investment to be channelled towards the preservation of the environment, and private investment becomes critical in ensuring that this is indeed the case. Complying with the stipulated environmental, health and safety standards is important as failure to do so could result in penalties being incurred, which would not be in the interest of private investors. It is therefore in the best interest of private capital to comply in order to avert the unnecessary loss of revenue. Given the challenges that prevail in Africa, especially where mining activities take place, there is a need for mining houses to be good corporate citizens. This could take various forms, including assisting the affected communities through skills development, enterprise development, economic linkages where mining inputs are sourced from local enterprises. Also, the remoteness of the areas where mining activities occur requires substantial investments in infrastructure as indicated earlier on in the case of South Africa – which infrastructure investment proves difficult without private capital. It is the same infrastructure that in turn benefits the communities and improves their living conditions as well as their economic prospects. “The African continent has realised the importance of private capital in expanding and growing the mining sector on the continent”, given its mineral endowment. This is supported by the unprecedented investments in its mining sector from countries such as China and India, which have assisted in fuelling the continent’s economic growth and infrastructure development. For example, between 2010 and 2012, mining investment in the form of mergers & acquisitions reached approximately US$15 billion in Africa, as reported by KPMG. The top four countries that invested in Africa were the UK at US$4.1 billion, China at US$4 billion, Australia at US$2.6 billion and India at US$1.9 billion. Eight African countries including South Africa, Namibia, and the Democratic Republic of Congo accounted for more than 90% of the total mining mergers & acquisitions investment during this period. However, such investment initiatives can be undermined by the complexity of issues on the ground. For example, the South African mining sector has historically relied on a migrant labour system which ensured the supply of cheap black labour from the homelands – places where black people had their “independence”. This system fuelled deeply entrenched inequalities which resulted in abject poverty coexisting side by side with extreme wealth. Unfortunately, this continued into post-apartheid South Africa, despite some interventions to arrest it. Another contemporary challenge has to do with the seeming collapse of collective bargaining. In 2012, the Congress of South African Trade Unions (COSATU) outlined challenges that the collective bargaining system was experiencing. (1) Chief among these were the constant destabilisation and fragmentation of collective bargaining institutions as well as the absence of a coherent wage policy in the country to address poverty and inequality amongst workers; or a coherent framework to link labour market strategies and institutions to a broader economic development strategy. It also pointed out that in 2010, about 50% of the workers earned below US$280 per month, when the minimum wage level was US$400 per month. This highlights some of the reasons causal to the propagation of the inequalities which are undermining the mining sector. The stand-off is a poignant reminder that the challenges are indeed complex, and would require all stakeholders to work together towards lasting solutions. 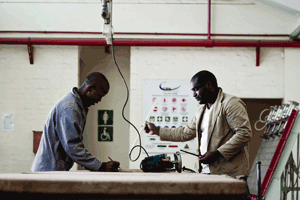 South Africa is in the midst of the most protracted strike as a result of these challenges. However, it is heartening to note that government has also started a process aimed at finding solutions, and thus ending the strike. It is against this backdrop that the idea of Africapitalism becomes apposite. Africapitalism is a concept coined by the Nigerian banker Tony Elumelu – a form of capitalism that is tailored to the needs of the African continent. At its heart, Africapitalism is challenging the historical exploitation of the continent and promoting profit making initiatives that will address the socio-economic and infrastructural challenges of the continent. While the sector yearns for private investment, it is in the best interest of private investment to be sensitive to the plight of the communities. Having said that, private sector investment will continue to be the engine that will drive economic growth, address the infrastructure gap on the continent which will unlock its economic potential, in the light of improving political and business conditions, and also the agenda to beneficiate these resources which will need financial resources to develop the requisite infrastructure to make this a reality. 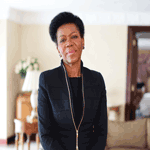 Daphne Mashile-Nkosi is CEO of Kalagadi Manganese Company, South Africa. She was named CEO of the Year at the Africa CEO Forum in March 2014. This article was published in GREAT Insights Volume 3, Issue 6 (June 2014).